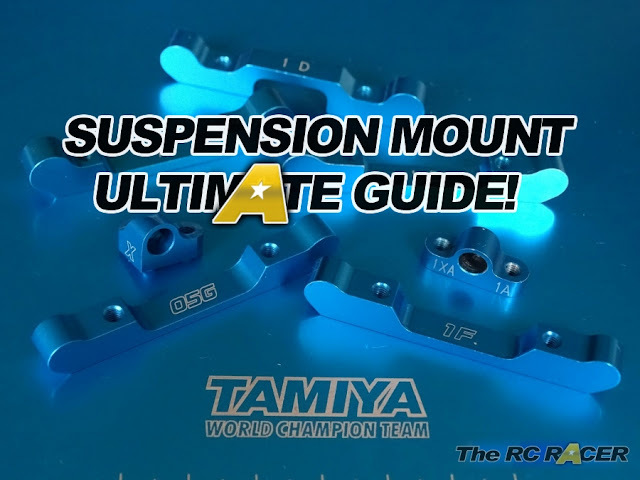 You may have noticed that I have a weakness for Tamiya's blue bling. One of their latest releases is a small aluminium parts tray, useful for when you are dissembling your car at the track. Can you have enough blue bling? 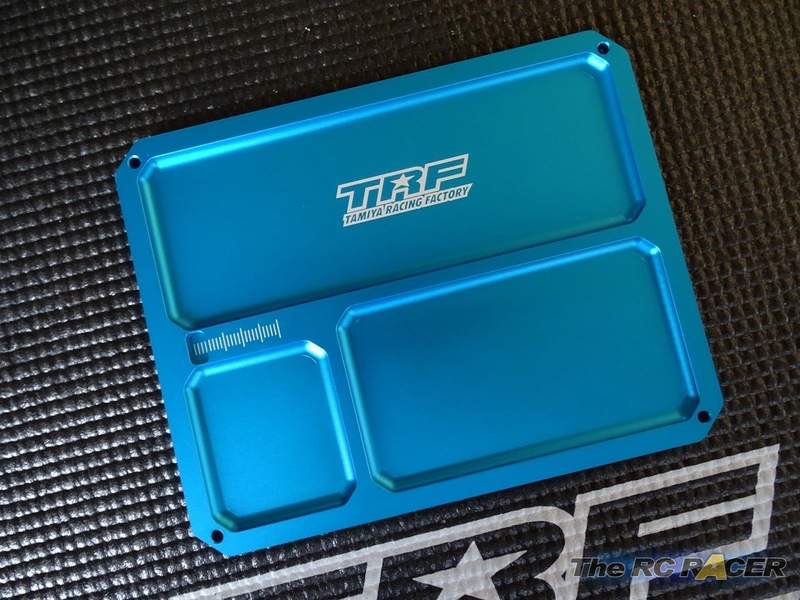 As you can see the tray is anodised in Tamiya's legendary blue colour with the TRF logo printed on it. 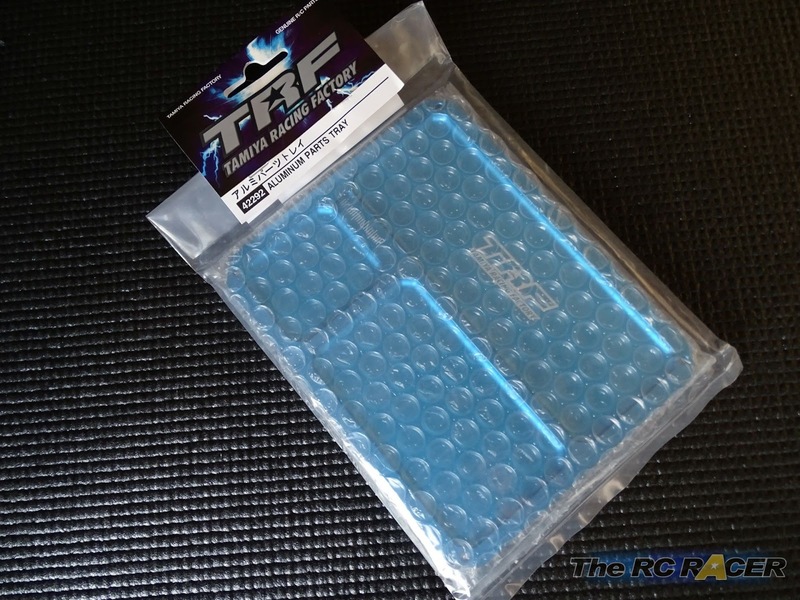 The Tray is a convenient size to pop in your pit box (L) 14.5cm (H) 11.5cm (D)4mm. There are 3 main sections to help separate your parts and the edges are smoothly bevelled so you are able to easily take small parts out of the tray such as shims by sliding them up the edge. A long or short screw? Before I had this tray, I just used anything on hand to keep bits together with some stressful issues losing shims etc. As simple a part as this is, it has really helped. 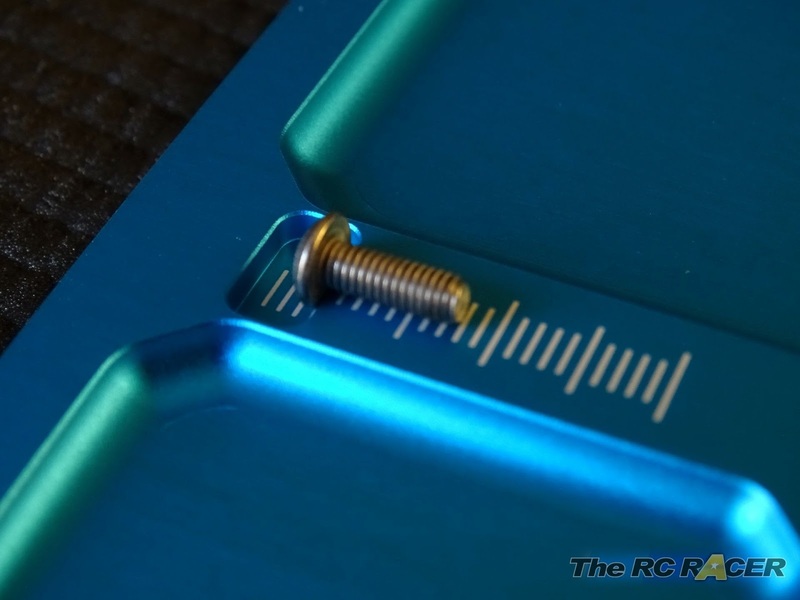 The 3 compartments help you quickly group the parts and the screw gauge is also a godsend when you are confronted by a legion of titanium screws starting at you as the clock is ticking before the next race.